An Apple Smart Cover that fits multiple tablet accessories? No way! Well, with the Smart Cargo from Dotan Saguy, it will from now on. The designer is currently looking to back his tablet case at Kickstarter, and Tablet2Cases is proud to note that our pledge has also helped in achieving the funding goal. 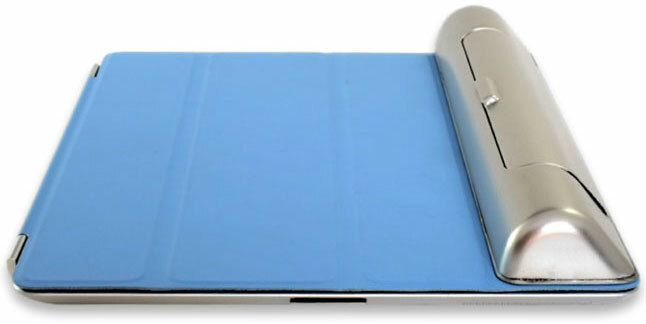 The case is compatible with the iPad 2 and later generations and needs the Apple Smart Cover or Smart Case to attach to. 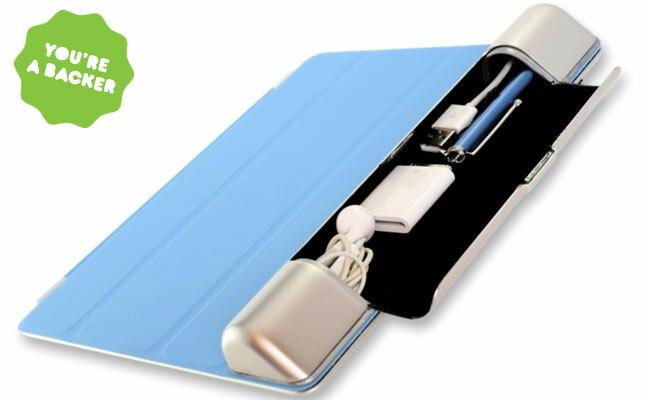 The Apple iPad 4 case latches onto the Smart Cover with the help of the 14 magnets built into the original Apple accessory, naturally, the installation and detachment take mere seconds. The Apple iPad 3 case can fit a wide range of daily necessities including earphones, charging cable, stylus, screen wipe, adapters and more. It’s lined with soft felt on the inside to prevent accessories from damage. 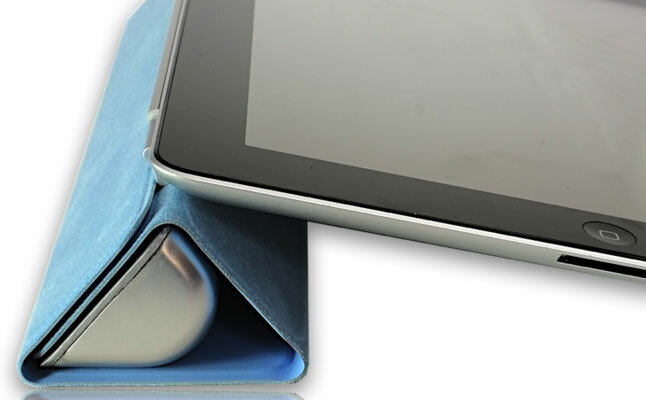 When the Smart Cover rolls up into stand position, the Apple iPad 2 case fits perfectly inside the created triangle. The Dotan Saguy Smart Cargo also provides an ergonomic grip for easy mobility, and can be used as wrist support for lengthy typing sessions. Pledges of $15 or more will guarantee you the case.